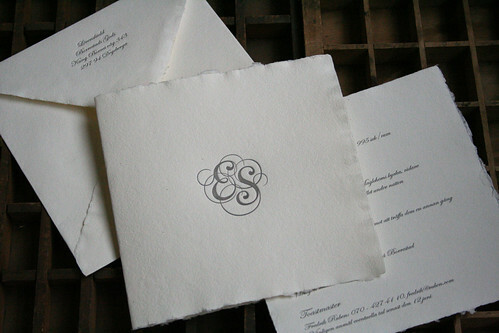 For this wedding invitation, the client provided European deckled paper and the complete design files, including this gorgeous monogram for the cover. 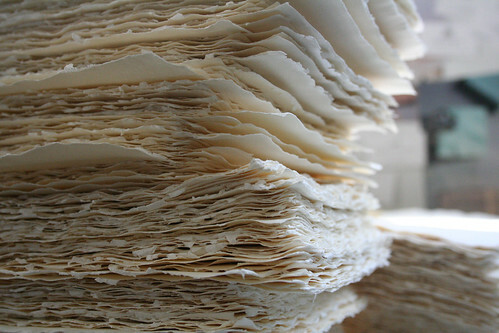 I love this paper, it almost looks like a piece of pastry from the side. 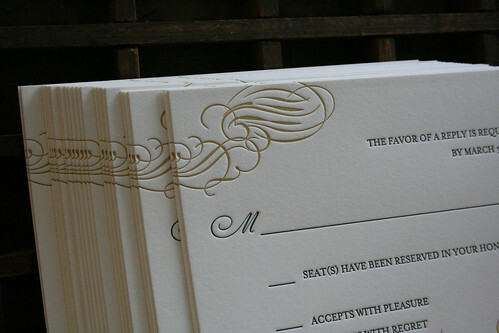 One thing worth noting is that when you have very deckled edge like this stock the registration is pretty difficult, since the paper is not sitting in a perfectly straight stack when it is picked up. 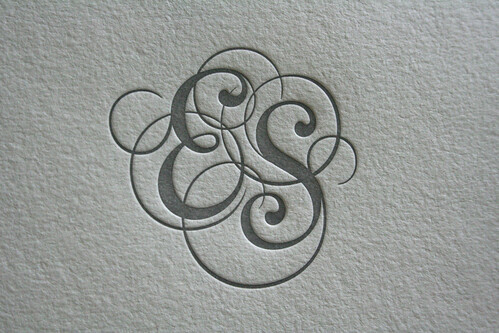 A lovely design indeed. 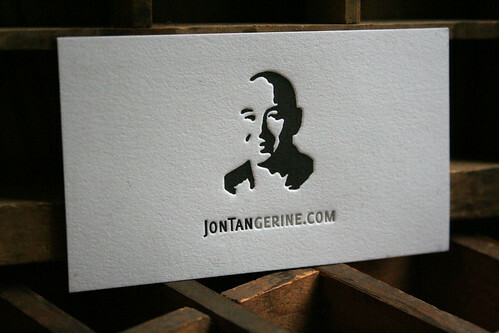 UK designer / typographer Jon Tan created this awesome layout for his new business cards. 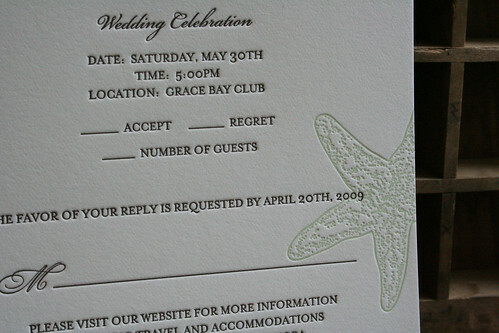 I printed them last week but am just now getting around to taking pictures. 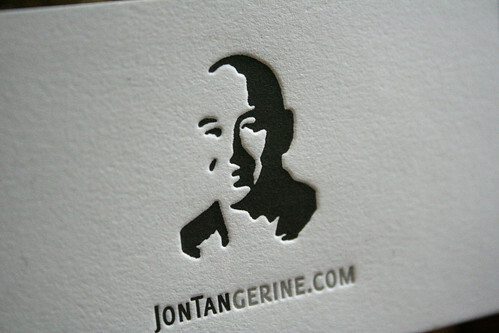 I first became acquainted with Jon as a fan of his awesome blog jontangerine.com, and I love these cards because they really resemble him. 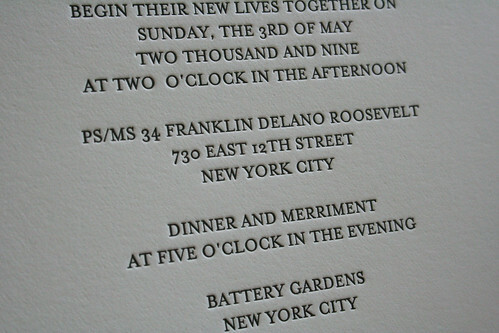 **Oh yes, forgot to mention the typeface: Delicious (small caps variant) by Jos Buivenga. 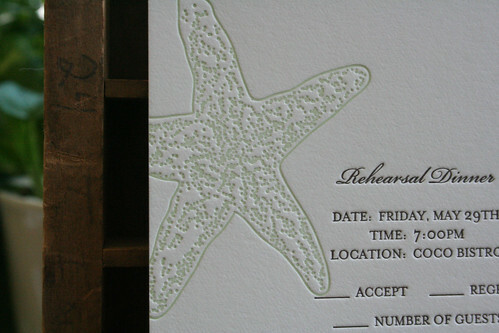 Just in time for the nice weather…I delivered this beach-themed invitation the other night. 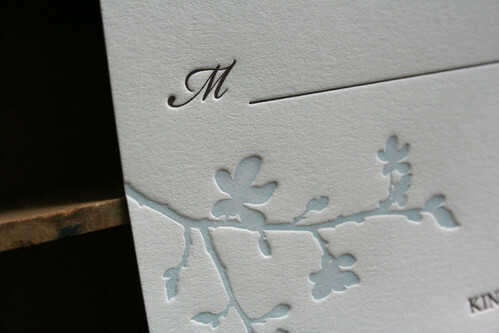 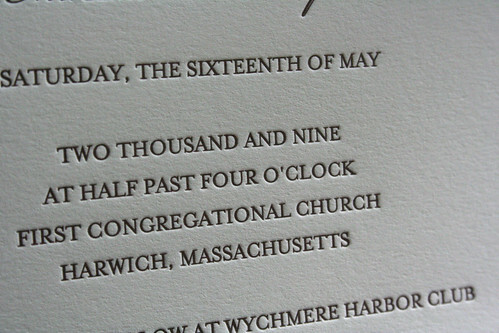 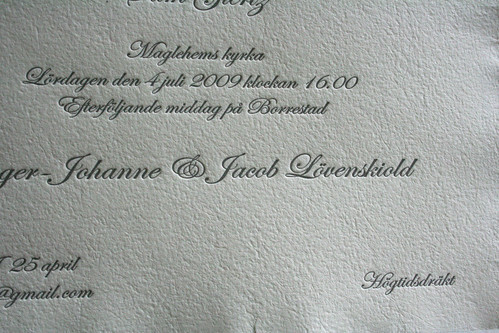 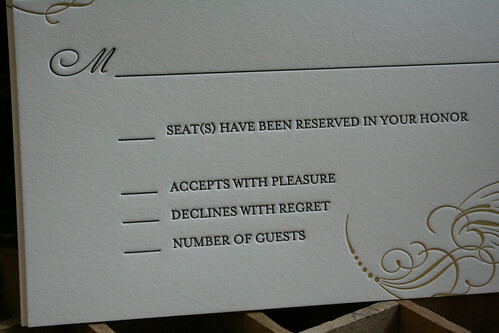 This is one of those images that work so perfectly with letterpress because of all the fine detail. 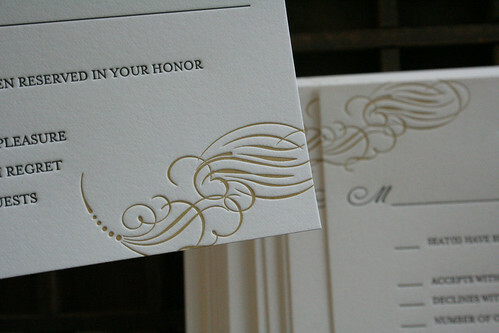 Lovely color choices too…I’m dreaming of sunshine.